Are you looking for the perfect festive drink to serve at your holiday parties? If so, this weeks mixed drink is perfect for you. 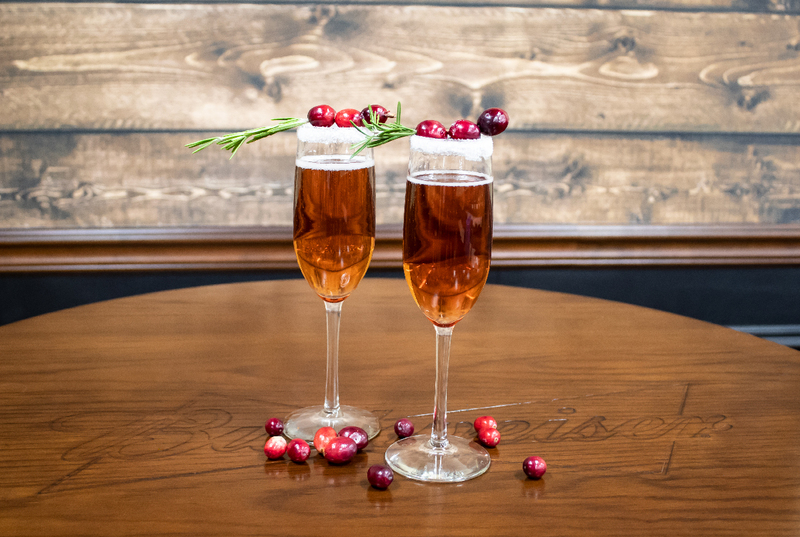 Learn how to make a Cranberry Mimosa with these eight easy steps! Your family, friends, and guests will certainly be impressed by this holiday drink. Step One: Rim wine glass with a quarter of a lime. Step Two: Dip the rim of the wine glass into sugar. Step Three: Pour 1/4 cup of cranberry juice into wine glass. Step Four: Fill the rest of the glass with Azzurro Sparkling Wine. Step Six: Thread cranberries onto a rosemary skewer. Step Seven: Garnish drink to make it look festive.